Accepted definitions and understandings of the concept of “charitable” or “charitable purpose”, as currently applied to tax-exempt nonprofit organizations, may no longer accommodate an evolving nonprofit sector economy where the public benefit or social purpose aspirations of people and innovative organizations seek societal good and social change in new ways. In 2013 the Texas Legislature passed Senate Bill 849 that permits for-profit corporations to fold certain social purposes into their management responsibilities. This reflects trends and legislation in other states that point to new forms of for-profit social purpose or social benefit entities that could shift accepted meanings of charitable purpose. The general perception of the layperson is likely that a nonprofit organization is a charitable organization. Those involved directly with the nonprofit sector know otherwise, because there is a broad range of nonprofit legal entities permitted under federal and state law, and then there is a distinct group entitled to the I.R.C. §501(c)(3) charitable tax-exempt status. However, the distinction between charitable versus nonprofit versus social benefit may be blurred in an evolving nonprofit sector environment where new leaders seek new ways of advancing their mission with innovative programs, new terminology and business models. Yet, the legal, tax and regulatory systems in place are slow to change. One of the earliest voices asked the basic question: What are the different ways nonprofit can be expressed other than not being for-profit? Dennis Young, If Not for Profit, For What? Lexington Books (1983). Responses to that question have only expanded the discussion rather than produced consensus answers in the nonprofit sector or in professional and academic circles. Thirty years after these ideas first emerged, it is clear that they represent more than a trend. New hybrid organizations of all types will increasingly occupy space in the spectrum of nonprofit organizations. Just as innovative entrepreneurs have changed the face of business, social entrepreneurs will change the face of the nonprofit sector. Practitioners must familiarize themselves with these issues in order to accommodate a new kind of client who appears and who speaks a new and unfamiliar language. The typical publicly-supported charitable organization is a creature of state and federal statutes. It must meet the requirements of §501(c)(3) of the Internal Revenue Code and extensive accompanying regulations plus the state’s nonprofit corporation enabling statute. It must be organized and operate exclusively for charitable, educational or other purposes recognized in I.R.C. §501(c). Reporting of the organization’s financial affairs on the I.R.S. Form 990 has been tightened and expanded in recent years with changes to the form, particularly with respect to reporting non-financial internal governance compliance (Part VI of the Form 990). While a charitable organization may conduct a variety of business-like operations, those activities must always relate to the tax-exempt purpose, and at no time can earned-revenue “profits” be more than insubstantial. A small group of practitioners has advanced the careful consideration of the legal and tax issues facing new hybrid organizations that are beyond the confines of the “charitable” definitions; these include complying with I.R.S. joint venture rules, unrelated business income tax, private benefit prohibitions and related party entities. See Allen R. Bromberger, A New Type of Hybrid, 9 STANFORD SOC.INNOVATION REV. 48, (2011). Tax practitioners recognized early that advising social-innovator clients involved working within a federal tax regime that may not be flexible enough to facilitate these new aspirations and business methods. See Robert A. Wexler, Social Enterprise: A Legal Context, 54 EXEMPT ORG. TAX REV.233 (Dec. 2006). A corporation formed for the purpose of operating a nonprofit institution, including an institution devoted to a charitable, benevolent, religious, patriotic, civic, cultural, missionary, educational, scientific, social, fraternal, athletic, or aesthetic purpose, may be formed and governed only as a nonprofit corporation under this code and not as a for-profit corporation under this code. As a result of Senate Bill 849, a new kid on the block has appeared close by in the code, in §1.002(82-a). This new language permits a for-profit corporation to embrace a number of listed social purposes that sound very much like the missions of many nonprofit charitable organizations. Other elements of the bill insert nonprofit/charitable-sounding language in provisions relating to for-profit corporations. Does this signal that Texas corporate law will shift to accommodate social purpose or social benefit entities that could occupy the same space as nonprofit charities? Those watching an evolving public benefit movement with a cautious eye point out that the public (consumers, donors, volunteers, supporters) might be misled by the similarity between I.R.S.-certified tax-exempt nonprofit charities versus entrepreneurial for-profit or hybrid organizations that have a mixed mission that is not entirely “charitable”. It is not unusual for a state’s corporation oversight authority or a state bar association’s business law section to oppose legislation authorizing hybrid nonprofits. See “A Quest for Hybrid Companies That Profit, but Can Tap Charity”, New York Times, Oct. 13, 2011.
Who will document whether an array of new mixed-mission public benefit organizations and corporations diverts support and contributions from §501(c)(3) charities? It’s safe to say that a huge percentage of individuals who contribute to charitable organizations give from personal or emotional motivations rather than an expectation of objective benefits or outcomes. Individual donations of $229 billion to tax-exempt charities and religious institutions comprised approximately 72 percent of total giving to tax-exempt entities in the latest reporting year. Giving USA 2012 Report, Indiana University Lily School of Philanthropy. Others might say that corporate social responsibility (CSR) has already been embraced by large segments of the American corporate economy although it is incidental to the profit-making objective. A review of the annual report of most top public corporations will highlight an express commitment to certain social purpose ends or to the company’s substantial corporate philanthropy. See generally, Alissa Mickels, Beyond Corporate Social Responsibility: Reconciling the Ideals of a For-Benefit Corporation with Director Fiduciary Duties in the U.S. and Europe, 32 HASTINGS INT’L COMP.L.REV. 271 (2009). The legal turf sought to be occupied by social enterprise theories is not up for grabs without dispute. It’s fair to question the very idea of “for-profit charity” and to ask if profit-seeking charities would dilute the standing and the public perception of those that remain totally charitable in their operations. See Brian Galle, Keep Charity Charitable, 88 TEX.L.REV.1213 (2010); see also Brian Galle, Social Enterprise: Who Needs It?, 54 B.C. L.REV. 2025 (2013). Those advancing social enterprises should be careful that they do more than make contributors and stakeholders feel good. They must deliver on the promise of advancing general or specific societal benefits. Senate Bill 849 passed in the 2013 Texas legislative session without controversy or much notice and was signed into law to be effective September 1, 2013. See APPENDIX B for the full text of the bill. The positive impacts a corporation may seek to advance can include providing benefits for low-income or underserved populations, promoting economic opportunity and creation of jobs, preserving the environment, promoting human health and the arts and sciences, increasing access to capital for entities with a social purpose, and generally “conferring any particular benefit on society or the environment.” It appears that the range of permitted positive impacts is not intended to be limited to those listed. Subsection (a)(11) is added to BUS.ORGS.CODE §21.101 and provides that shareholders may enter into an agreement that directs the management of the corporation to act with regard to one or more social purposes specified in the certificate of formation. Finally, the new Subsection (e) of BUS.ORGS.CODE §21.401 clarifies that all other corporations that have not stated a social purpose in their articles are not disallowed from approving or acting on a similar purpose or issue that has the effect of promoting a social, charitable or environmental purpose. S.B. 849 represents an abbreviated variation of a typical benefit corporation statute as passed in other states and is a toe-in-the water change to Texas corporation laws. Benefit corporation statutes are discussed in the following Part IV and generally contain three elements: (1) defining the social benefit purposes that a corporation incorporates into its formation documents to distinguish itself from other for-profit corporations, (2) allowing directors, officers and shareholders to promote the social purpose(s) as part of governance of the corporation and stewardship of its assets and interests, and (3) requiring a periodic report to the public documenting the social benefit(s) accomplished that entitles it to continued status as a benefit corporation. S.B. 849 lacks the third element and Texas thus has not enacted a typical benefit corporation statute as seen elsewhere. 68 BUSINESS LAWYER (ABA) at 1007 (Aug. 2003). It will be interesting to observe which Texas-chartered corporations take on the social purpose mantle and how their aspirations are incorporated into their governance, operations, marketing and public relations. Will the claimed social purpose make a measurable difference? Will the public notice? 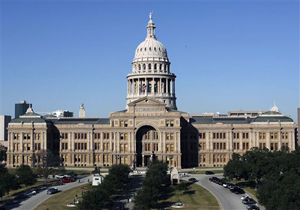 House Bill 2622 was introduced in the 2013 legislative session and proposed bringing the low-profit limited liability company –L3C– to Texas. The new L3C entity would have been simply added to the existing limited liability company (LLC) definitions in §1.002, TEX.BUS.ORGS.CODE, by requiring that the L3C (1) be organized and operated for a business purpose that significantly furthers the accomplishment of one or more religious, charitable, scientific, literary or educational purposes as described by 26 U.S.C. §170(c)(2)(B); (2) could not be operated with a significant purpose of producing income or capital appreciation; and (3) these requirements must be stated in the certificate of formation of a new LLC or in the restated certificate of a LLC that is transitioning to L3C status. Interestingly, the bill also provided that corporate records would have to be kept to confirm compliance, and failure to comply with these requirements constitutes “an event requiring winding up unless, not later than the 60th day after the date of that event, the company files a certificate of amendment to change the company’s name to conform with the requirements of Section 5.056.” (i.e., defaulting to LLC status). The text of the bill, which appears in APPENDIX B, was not the subject of any committee hearings or other discussions and was left pending. The appearance of H.B. 2622 leaves for another day the prospect that Texas may join a score of other states that have enacted L3C enabling legislation. The benefit corporation concept is said to have originated in Great Britain. More than two dozen states have now passed benefit corporation statutes. Most significant is Delaware, the domicile of many major American corporations and thousands of others. See Senate Bill #47, 147th Delaware General Assembly, 2013, amending and supplementing various sections of the Delaware Corporations Law, DEL.CODE ANN. Title 8. See Joseph Yockey, Does Social Enterprise Law Matter?, University of Iowa Legal Studies Research Paper Number 14-06, March 2014, available from http://ssrn.com/abstract=2389024; citing Dana Reiser, Benefit Corporations—A Sustainable Form of Organization?, 46 WAKE FOREST L.REV. 591(2012); see also William H. Clark, Jr. & Elizabeth K. Babson, How Benefit Corporations are Redefining the Purpose of Business Corporations, 38 WM.MITCHELL L.REV.817(2012). The Model Benefit Corporation Act is available from a number or sources and is highlighted in 68 BUSINESS LAWYER, supra. 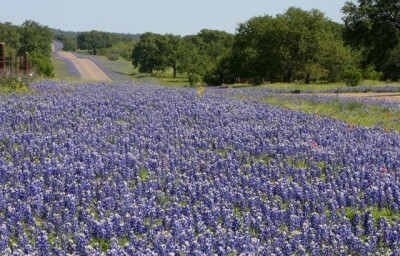 A list of states that have enacted benefit corporation legislation is updated at www.benefitcorp.net. B-Corp designation has been formalized since 2007 through a nonprofit agency called B Lab (www.bcorporation.net), which has certified hundreds of benefit corporations according to a 200-point assessment. The factors considered in judging a corporation’s “B-ness” (this writer’s term) include its carbon footprint and environmental impact mitigation, its supply chain and local sourcing of materials and services, the compensation plan and benefits offered employees, and the transparency of its governance, financial and operational records. Once passed, a corporation can display a distinctive “B” within a circular shield in its marketing, publications and products. The designation is said to attract a socially-conscious pool of customers, employees and investors. See “Companies Play up Social Endeavors”, Wall Street Journal, Nov. 13, 2013. This demographic and marketing subgroup has been informally called the LOHAS generation: those seeking a lifestyle of health and sustainability. The certification is said to be the equivalent of LEED designation in architecture and building design, “Fair Trade” in coffee, or “Organic” in food products. The relative success and acceptance of the B-Lab mission and branding reveal how social changes and enterprises reflecting those changes are steps ahead of current legal and business models. The low-profit limited liability company, L3C, first formally appeared in Vermont with legislation enacted in 2008. VT.STAT.ANN. Title 11 §3001. Other states were slow to follow. Currently, about 25 states have enacted L3C enabling legislation. The formation documents of a typical L3C expressly recognize that its charitable, educational or social mission takes priority over profit expectations, while acknowledging that profits will be sought, reinvested and leveraged. It is not a tax-exempt entity. Governance of the L3C is simple and based on the popular LLC model. It provides LLC liability protection for its owners and managers. Thus, the L3C can easily take on investors, additional partners, joint venturers, and was conceived in large part to accommodate program-related investments (PRIs) favored by foundations under I.R.C.§4944. Criticism of the L3C model has not been lacking. See J. William Callison & Allan W. Vestal, The L3C Illusion, 35 VT.L.REV.273 (2010). The number of foreign L3Cs formed under other state laws, and registered to do business in Texas as a non-domestic LLC, is unknown at present. Like the elusive ivory-billed woodpecker (Campephilus principalis), L3Cs are more often talked about than actually seen. Currently, a close alternative to the L3C exists in that a Texas nonprofit corporation can be the single member of a LLC and manage the for-profit LLC with considerable latitude while retaining the nonprofit’s federal tax-exempt status. California was the first state to enact flexible purpose corporation legislation, and in the same bill benefit corporations were authorized. The “flex-corp” is intended to be similar but not identical to the benefit corporation; both are for-profit entities. See CAL.CORP.CODE §§2500-3503 (S.B. 201, eff. Jan.1, 2012). At first glance, who could oppose a bill entitled the Corporate Flexibility Act of 2011? The idea was to provide protection from liability for officers and directors who favor societal benefits at the expense of corporate profits. The California benefit corporation is intended to pursue a general public benefit and observe independent standards for reporting and evaluating their public benefit (social, environmental). By contrast, the flexible purpose corporation concept was integrated into the existing state corporation law and requires the entity to select one or more special purposes from the list in the statute (such as minimizing the long-term or short-term adverse effects of the corporation’s activities on employees, customers, suppliers, the community or environment). By contrast to other models, the corporate directors must report to shareholders their achievements in advancing the specific purpose declared in its articles of formation. Existing for-profit corporations can convert to the flexible purpose or benefit corporation. See California Continuing Education of the Bar, Law Alert 2011 (www.ceb.com/lawalerts). Farther beyond the horizon, since 2004 in Great Britain one can organize a taxable entity called a community interest company, C.I.C., which must satisfy government-verified social purposes and requires company assets to be locked, with limited distributions to shareholders or employees. See https://www.gov.uk/government/organisations/office-of-the-regulator-of-community-interest-companies. Is this evolution of corporate entities increasingly unfocused? Will the result in some jurisdictions be a one-size-fits-all corporate enabling statute where those forming a semi-charitable social purpose or benefit entity will select from a menu of legal entity choices? Twenty years ago, the words “social enterprise” alone would have meant nothing to most people and would have yielded little or no returns in a formal research effort. Now, the meaning of the term is in flux with different definitions and claims of authorship and ownership coming from nonprofit organizations, business entrepreneurs, social science scholars, and the legal and accounting professions. Where, when and how the term will be definitively captured and formalized remains to be seen. This writer attended the second national “gathering” of social entrepreneurs in 2000, which has evolved into the Social Enterprise Alliance (www.se-alliance.org). That small pioneer group saw social enterprises as existing primarily in the nonprofit sector and as an alternate business model for traditional charitable organizations. The mantra was the “double bottom line”—that is, a nonprofit organization can be operated with the dual purpose of advancing its charitable mission while operating on a business model that generates earned revenues and promotes its sustainability. The notable shift is the admitted non-reliance on donor charitable contributions or traditional foundation or government support. University graduate programs were early promoters of the social enterprise movement, particularly the late Professor J. Gregory Dees at the Duke University business school whose pioneering treatise, “The Meaning of Social Entrepreneurship”, appeared in 1998 (available at www.caseatduke.org ). Today there are scores of degree programs in the social enterprise or social entrepreneurship field. The social science, business and legal literature in the field has blossomed. See Marc J. Lane, Social Enterprise: Empowering Mission-Driven Entrepreneurs, American Bar Association (2011). Most major business schools now have course offerings on these subjects, but law schools are typically slower to follow in inserting new distinct courses. Formal research on the scope and impact of social enterprises in Texas is limited. See Todd Piechowski, Social Entrepreneurship in Texas Nonprofit Organizations, Texas State University Applied Research Project, 2010. Major universities offer special loan assistance to graduates who seek and obtain positions in social enterprises or B-Corps. See “Companies Play up Social Endeavors”, Wall Street Journal, Nov. 13, 2013. A financially secure nonprofit organization that utilizes its resources to engage market opportunities and operate on a business model to promote its mission and the public good through program earned revenue and sustainable operations. The larger and successful nonprofit organizations that have endured good and lean times and that gravitate toward the social enterprise model include (1) those that have been operating under this model for years but only now find a label to define themselves, (2) those nonprofits that are struggling to grow or survive financially and that have programs or enterprises that can be expanded in new markets; and (3) those emerging organizations that start off as a social enterprise and self-proclaim their status. At some point in recent years, the social enterprise definition has also been claimed by for-profit business corporations that embraced the concept because they bannered their commitment to donate a large percentage of profits to charitable purposes. Rather than operate as a competitive business under the 501(c)(3) limitations, these business corporations chose a defining place in the commercial economy by declaring that all or most of its profits would go to a charitable or public benefit purpose or that its policies internal operations would be focused on social good, such as environmental mitigation, job preservation or socially-conscious sourcing. The social enterprise movement is a focused community of argonauts that will continue to define itself unless the legal system keeps pace. New legal entities authorized by legislation should accompany, and not merely follow,the significant economic and societal changes reflected in the social enterprise movement. Attorneys, accountants and other professionals can have a creative and productive role in these developments. See, Robert A. Wexler, Effective Social Enterprise—A Menu of Legal Structures, 63 EXEMPT ORG.TAX.REV.565 (2009) But will a search for uniformity and legal regulation be at the expense of inclusiveness and innovation? See Yockey, Does Social Enterprise Law Matter? supra. The combination of economic and social benefit objectives—expressed as “doing well while doing good” — is likely here to stay. An evolving nonprofit sector rich with innovative ideas from a generation of social entrepreneurs will likely shift perceptions and fixed definitions of charitable purposes. Click here for the paper in its entirety, as presented to the State Bar. © 2014, Richard W. Meyer, All Rights Reserved.